Please make sure you have read the information provided on the Adopting an Italian Greyhound page before registering your interest in adopting an Italian Greyhound through us. We currently have in excess of 500 approved homes waiting to re-home a rescue IG; please do not complete the Registration of Interest form unless you are seriously wanting to rehome a rescue. The information that you provide in the form will be added to our database and will be held securely for a period of 2 years. 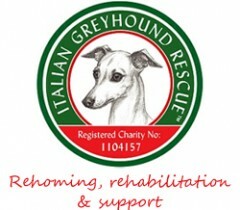 Please note that we make no guarantees that we will find an Italian Greyhound for you as the needs of each dog are assessed on a case by case basis and we always place a dog with the most suitable home based on our experience of re-homing Italian Greyhounds.